It wasn't very long ago that I was on the search for the perfect army jacket. Now, I have three. It's madness, I tell you, especially because all of them are really quite perfect. This one is from Lamb & Flag, with whom I am doing a partnership today for Lookbook. Their military jacket zips off into a cropped jacket, too, which I imagine will look really great with cut-offs, black tights, and a ripped-up vintage tee. I put on this outfit and thought that perhaps it was just a touch too safe, so I added this bizarrely dark lipstick. I only feel comfortable if I look a touch brooding, I suppose. It keeps the wrong kind of men away, at least, and for that I am grateful. Here are some inspo photos on army jackets. JUST CAN'T GET ENOUGH. 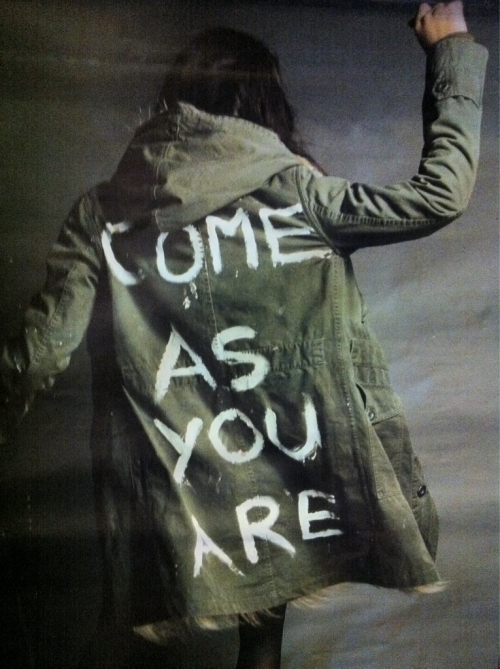 I love the come as you are jacket! 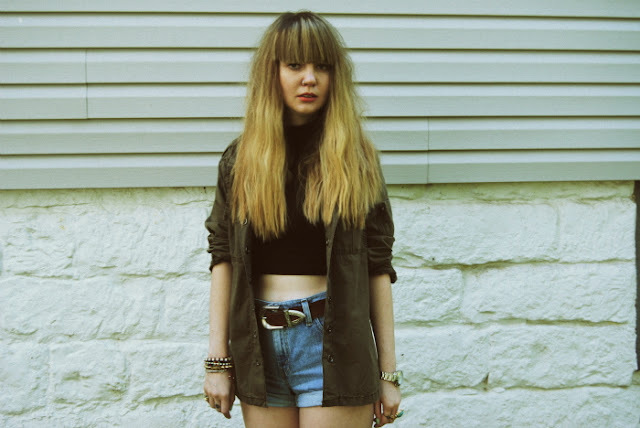 I like this dark brooding Daria esqur look a whole heap! so cool that the jacket cuts off! Ahh, military jackets. ♥ I love the combination here with the sweater dress! You're so good at these sorts of things. Also, those boots are freaking adorable. I've been thinking of buying a new military jacket, but I don't know. I own one that I bought at Graceland in Tennessee, a replica of what Elvis wore when he was stationed in Germany. I just can't figure out what to wear it with, mainly because it's a touch too big on me. I'm tempted to DIY it. Gorgeous! I've always found army jackets to be a sort of hit-and-miss thing; sometimes they look great, and sometimes they look cliche. But you look amazing in yours and your outfit is to die for! I still haven't found the perfect military style jacket, but I'm quite sure that once I do I'll be wearing it as much as possible, especially since I live in Portland where it's been super cold (in the 40's) for weeks now! ugh...the search continues! Great post. 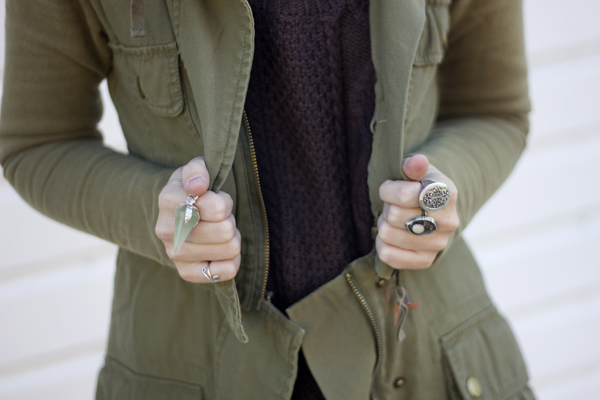 I love military jackets. 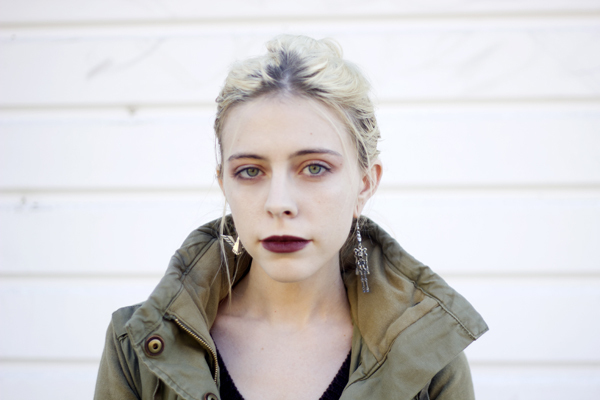 I saw lamb & flag being featured over on The Maven Post - awesome find! eeeep I need a military jacket! I usually spend hours on the net reading blogs on various subjects. And, I really would like to praise you for writing such a fabulous article. I honestly believe there is a skill to writing articles that only very few posses and yes you got it.Thanks for sharing. Anyways, you rule and your posts never fail to keep me inspired! I love everything you are wearing from the purple lips to the amazing booties! 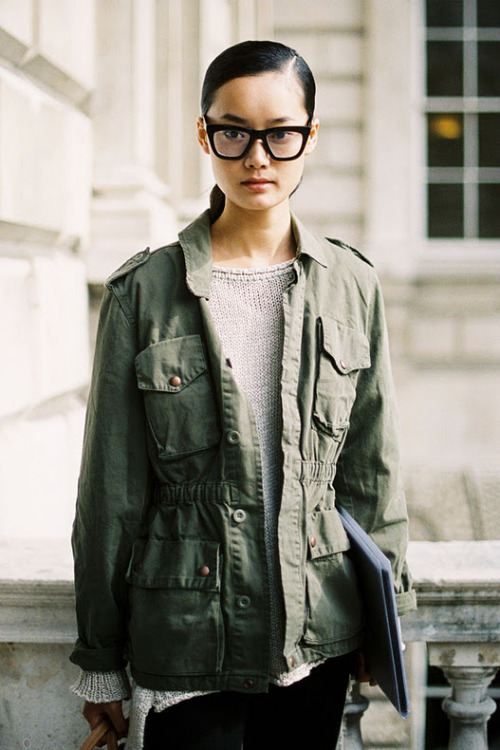 I'm finding a perfect army jacket for myself too!!! you look great, dear! Been wearing a german army shirt basically daily since i was 14, always been a fan of army items. and your perfect pale face! as I said before, you are so gorgeous! You look like Ginta Lapina!!!! You have such a white skin ! I love it ! This is on my list of top like 3 things every girl needs. It's that kind of thing that, in a weird way, goes with everything. i'm dying over that coat. after scouring unsuccessfully for some time, I found one at Target that will suffice and has been permanently glued to my body as of late. that dress looks great on you; i couldn't remember why it looked so familiar, but then duh, it was hanging in my sister's closet. sigh. see what no sleep does to you? wrong dress. i meant the crocodile dress in your other post...but this still is awesome on you!